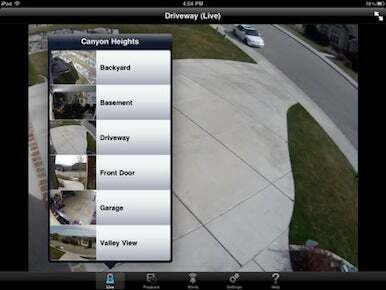 Ever want to check up on your home while you’re away on a trip? Well, thanks to the new Logitech Alert app, you can view your security camera’s feeds right from the comfort of your iPad, no matter where you are. The app, which works with Logitech’s Alert line of network-enabled security cameras, can stream live H.264 video from the cameras at a resolution of up to 720p and provide audio as well. Access is secured by a username and a password, and you can view the feeds in either portrait or landscape orientation. If you want to take advantage of additional features, such as the ability to receive motion alerts and access to the recordings your camera made when it detected motion, you’ll need to have pony up for Logitech’s $79-per-year Mobile Commander service. Logitech Alert is a free download and requires an iPad running iOS 4.2 or later.